Hey everyone! I'm back for My Week In Photos! This week, my boyfriend's family is baking tons of CNY goodies for their relatives, friends and customers! I snapped a lot of pictures from it. If anyone would like to order from us for next year's CNY, please contact me (next year though) haha. And i experimented Disneyland Frozen's Make Up. Elsa was really magical in the movie and i love all those snow flakes and songs. How fairytale liked... So i recreated the look! Perhaps you can't see the purple eyeshadow that i put on but i did have that color in my eyelid. I guess its time to get a camera! Is there any recommendation? Uncle spent alot of time weighing and making this little ball shape. next we had butter cookies! It literally melts in your mouth i swear. The dough was super soft. And almond biscuits for CNY. it looks like scallop and its this shape that makes people order from them! My boyfriend unwrapping my present for him. Next monday is his birthday! He doesn't want me to get him anything expensive so i got him this really useful board that he wanted for 1 month already. He likes to be organize and he is also very lazy sometimes. 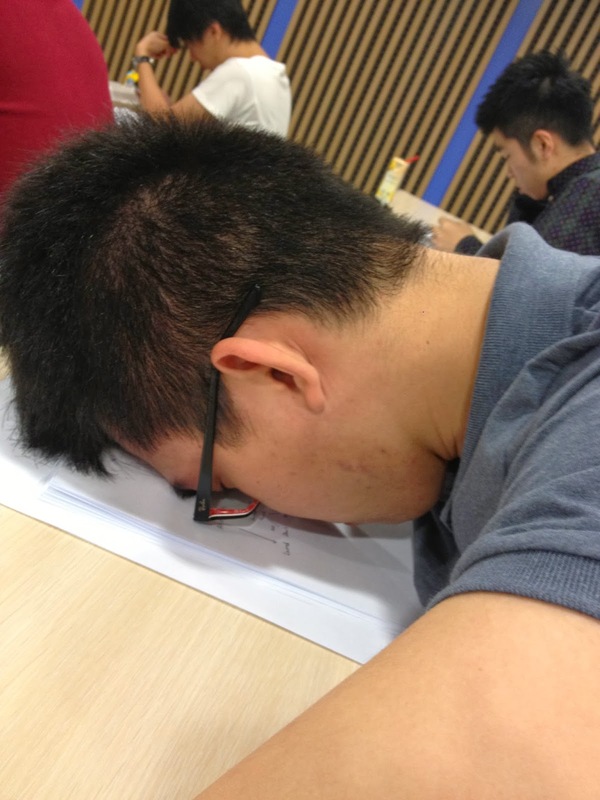 Ohhhhhhhh~~~~~~~ Are you this tired in school? hahahaha he looks so funny here. 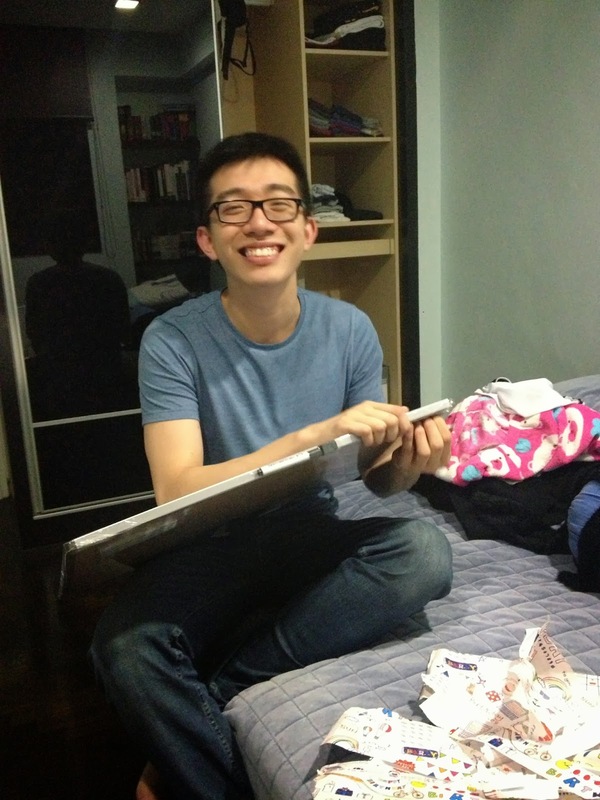 He is gonna kill me when he see this photo in my blog! And more pineapple tart made yesterday!!! Chinese New Year is next week!!! Has everyone bought their new year clothes? Actually, it doesn't really matter if you don't want to buy any new year clothes. Because its not the new clothes that make you start doing new things but its about having a positive, new mind for the new year to let you do new things this year! I hope 2014 will be an awesome year for me! What are your wishes for this year? Stop thinking and start doing now! My next post will be my 2013 Beauty Favourites, so stay tune for those who want to know more about good beauty products!